Advanced Biofuels are liquid transportation or power generation/heating fuels derived from: low nutrient input/high per acre yield crops; agricultural or forestry waste; or other sustainable biomass feedstocks including algae. Some thoughts about the current state of Advanced Biofuels. 5) What is the market for the fuel product? It doesn’t do any good to grow a crop or exploit a waste resource if you have no market or on-site use; and the fuel producers won’t be a market for your feedstock unless there is a market for the fuel. AND, you want to grow something that is appropriate to your land and climate. 1) How will I get my crop to a biorefinery? 2) What technology will convert my crop into fuel? 3) How will the fuel get from the biorefinery to the ultimate customer? 4) Is there a level playing field among fuel competitors? If not, do strong, vigorously enforced policies favor a transition to sustainable renewables? No matter what scale or community, these are important questions. For example, a community in Mali found that they could grow enough jatropha to make diesel fuel to operate a multi-purpose unit that could provide electricity, pump water or grind grain. Communities in southern Minnesota are contemplating constructing a 10 million gallon/year combined fuel/electricity plant that will use local crops to provide local fuel and power. Other corporate investors are building large plants designed to provide advanced biofuels for nationwide distribution and export. If you are looking at cellulosic ethanol production or drop-in fuels based on a sugar platform, you might want to study technologies that overcome biomass recalcitrance to break down your crop into sugars so that it can be fermented into ethanol; or put through an additional process to make biogasolines, biojetfuels, etc. ; or used for bioproducts. A lot of thought is being given to what are called the “logistics issues.” This includes transportation and storage of biomass, as well as logistics of transportation and delivery of ethanol and various blends with gasoline (E10, E15, E30 blends to E85, for example). Click on Infrastructure and its sub-categories along the right margin of each page on this web site for more discussion of these issues. See also the mobile and portable biorefineries category. Many advanced process challenges are stuck in the research stage because there is no venture funding. In addition to the dry credit market characteristic of the current economic situation around the world, venture capitalists (VCs , fondly referred to from those seeking funding as “vulture capitalists” ) only want to fund “proven technologies” and are looking for an exit or IPO in 2-3 years. Researchers in this nascent industry can’t promise those kinds of returns yet. Regrettably, relatively miniscule amounts of federal funds are available and they are fought over tooth and nail–and often go to universities and national laboratories rather than to independent researchers or small businesses. Click on Grants/Funding/Financing along the right margin of each page of this web site for more more detailed discussions of this issue. Robert Rapier provides a summary of practical advice for evaluating renewable energy technology, including biofuels, from the investor/reporter perspective. 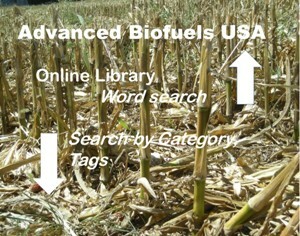 And his more recent Are You Looking To Invest in the Google of Biofuels? provides cautionary advice. What keeps those involved in helping us achieve the promise of advanced biofuels from becoming very depressed is the belief that this is the way of the future. And, even with inadequate funding, many researchers, growers, entrepreneurs and supporters are putting their own time and funds into this cause. Many paths must be followed to achieve as much independence from fossil fuels as possible. Due to technological challenges and the length of time it will take to implement a smart grid, the cost of the cars and the challenges of battery disposal; few people will be driving electric cars or plug-in hybrids for a few years. Most of us will still be driving the cars we have now and we would certainly be better off fueling them with environmentally thoughtful fuels. With adequate funding, the people working on this problem now can make that happen. Click here for a “take home” view of advanced biofuels from a financial investment perspective. It includes a glossary of pertinent terms. Click here for an E2 report on the status of advanced biofuels production as of mid-2013, including definitions of various conversion technologies and a glossary of pertinent terms. Click here for answers to questions asked at a February 2010 conference at the Stanford-MIT Venture Lab courtesy of Biofuels Digest. Click here for frequently asked questions for communities seeking to attract biorefinery investors courtesy of Biomass4Energy. 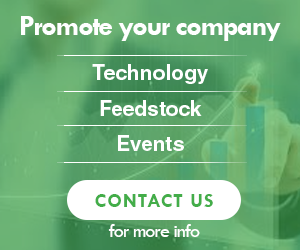 Click here for examples of marketing summaries of biomass and biofuels technologies available for licensing from U.S. Department of Energy laboratories and participating research institutions. Click here and here for lists and commentary of the Biofuels Digest’s Top 50 Companies in Bioenergy for 2010-11. Click here for links to a 10-part series by Biofuels Digest in Fall of 2010 that provides more detail about the day-to-day requirements for a successful “Bioenergy Project of the Future” from community relations to feedstock to technology to financing to strategic planning and more. Biofuels Digest’s Jim Lane’s, The Biorefinery Project of the Future can provide a framework for advanced biofuels development. To learn how well-known investor Vinod Khosla evaluates potential biofuels investments, click here to read Appendix 1 at the end of the article on feedstocks. Each Year, the Energy Information Administration releases a closely-watched Energy Outlook. The Sandia National Laboratory issued this projection of where 90 Billion gallons of renewable fuels could be sourced in the United States. Oak Ridge National Laboratory authored this study of where a billion tons of biomass could be sourced for bioprocessing. The International Energy Agency’s Oil Market Report for 2007-09. McKinsey’s influential study, published in 2007, issued one of the first warnings over “irrational exhuberance” over biofuels. Sandia – Biofuels, Water and Algae Economics In this data-loaded presentation, Ron Pate of Sandia National Laboratory looks at algae economics in the context of restrictions imposed on biofuels production by water supply sustainability concerns. Excellent overview of the state of aquifers and the water intensity of biofuels. 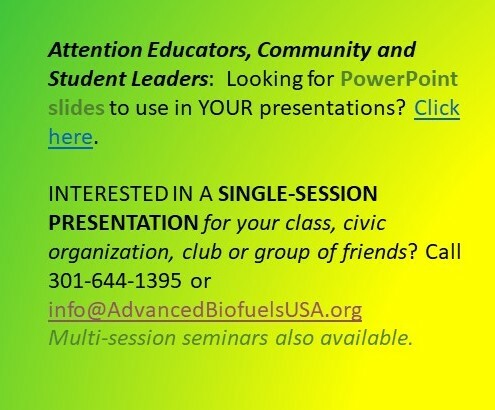 And much, much more at http://www.biofuelsdigest.com/bdigest/biofuels-digest-supercontent/free-industry-data/ For a review of the most requested articles, click here. For continuously updated links to articles about Investing, search by key words such as “investing” or “financing” in the search box (upper right of each web page). 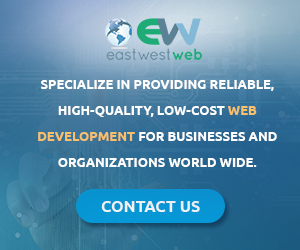 You can also find relevant articles by clicking on the category “Grants/Funding/Financing” along the right margin of each page of the web site. For a list of articles on the topic “The VC Model is Broken,” or why venture capital is hard to come by, click here. For an intriguing article by Naomi Kline, Capitalism vs. the Climate which appeared in The Nation, click here. Jim Lane, Biofuels Digest, suggests attention to these questions when doing a preliminary investigation. 1. Has it been demonstrated? The bigger the scale, the less technology risk. 2. Has my feedstock been tested. How are the rates and yields? 3.What are my special local conditions and how does that cause me to make specific choices on enzymes, yeasts and technologies. 4. Is there a local premium for green electricity. If so, technologies that have green power options will work well? 5. How fast is performance improving — is the technology at a stand-still or are big leaps in rate, yield, temperature tolerance etc being achieved? 6. How’s the capex / opex trade off? Most of the time, choices made to reduce capex (such as eliminating harsh chemical pretreatment), can cost on yields and you have to watch opex. Or, is there so much emphasis on gross cost-per-gallon that the plant has been engineered to the point where you simply can’t afford the equity? For more ideas on navigating this website, go to the “How To Use This Site” page in the “About Us” section of the site.